Meet Chantal, The Dreamer of our team! 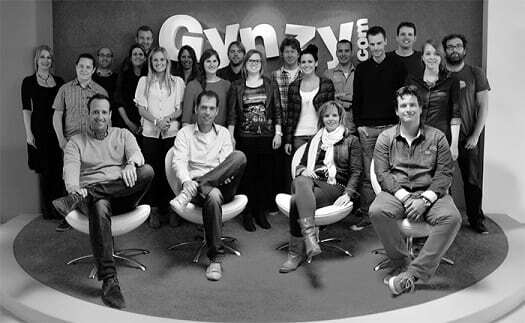 My name is Chantal and I’ve been working at Gynzy since the very beginning. I’m responsible for all of the artwork and photo’s you see in our activities. The artwork is drawn by me and most of the photos are stock photos which I carefully collect for the right purposes. I’m a hard worker but also a dreamer, so this job suits me perfectly! Like every artist, I have several sketchbooks. They’re chock-full with ideas and important notes as well as doodles and actual sketches. The final drawings for the interactive activities are done via a Wacom tablet. It’s this big, grey, flat thing, attached to my computer. I draw on it with a special digi-pen and I can see what I make directly on my screen. Sounds complicated, but it’s actually really cool! At Gynzy, everybody works very hard to make the IWB a useful and fun tool to work with in your classroom. But with that dedication to develop solid interactive activities, we also participate in all kinds of fun stuff with each other. As you can see in the picture, we went rappelling down a very high building together a few years ago. How’s that for teambuilding!